After nearly a century’s worth of protest, women in the United States officially won the right to vote — thanks to the influence of a mother over her son, no less — with the adoption of the 19th Amendment on August 26, 1920. Ninety-eight years later, we recognize this pivotal moment by honoring August 26th as Women’s Equality Day. But even as we pay tribute to the struggle and accomplishments of the suffragists who campaigned for this right, it’s important that we recognize we’re not living in an equal world yet. So, what would an equal world, for all people, look like? 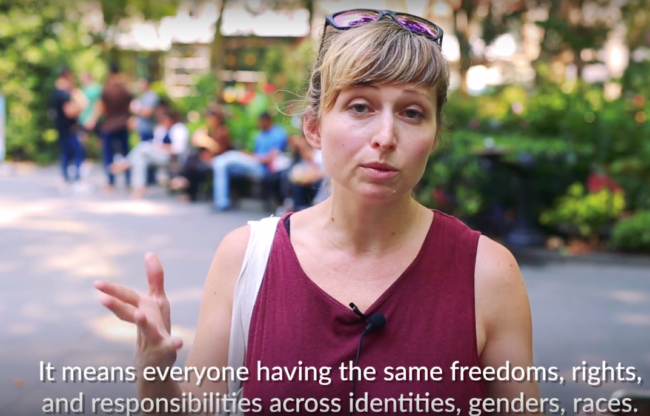 We spent a day in New York City asking people on the street: What does equality mean to you? Check out their responses below, and weigh in on the convo yourself! It wasn’t only people on the street who had opinions to share about the meaning of equality, though. Members of the FGB community mulled over the question, too — and some of their answers were seriously thought-provoking. 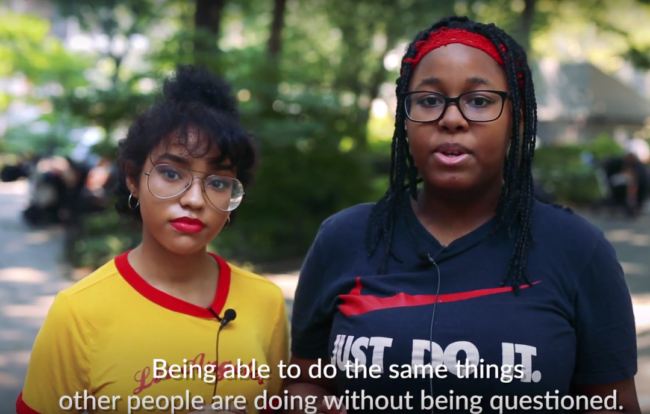 Check out a few of our fave empowering responses below, and join the conversation by adding your own thoughts while you’re at it! Fairygodboss readers’ answer: What does equality mean to you?